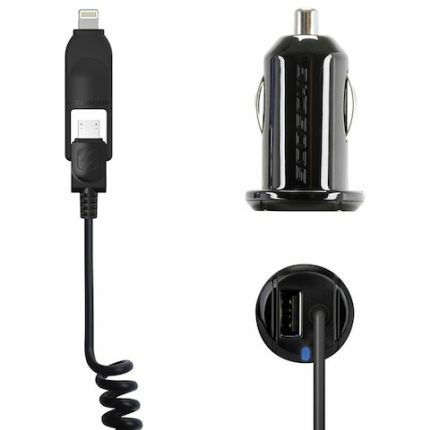 After Belkin presented the first official accessories compatible with the Lightning Cable, Scosche now presents its range of chargers compatible with iPhone 5, iPad and iPad mini. The company has four models of charging connectors for car and five more for home. For now, we can only book them, as the official release date is in late January. Below we detail each of the products. strikeDRIVE of 5 w : compatible with the iPhone 5 and iPad mini. Contains a cable Lightning. Price: $ 24.99 (about 20 €). strikeDRIVE 12 w : Compatible with iPad. Includes a car charger and a cable Lightning. Price: $ 29.99 (about € 24). strikeDRIVE 12 W + 12 W : compatible with the iPhone 5, the iPad and the iPad mini. Lightning has a cable with micro USB port. Price: $ 39.99 (about € 31). strikeDRIVE pro 12 w + 12 w : compatible with the iPhone 5, the iPad and the iPad mini. Lightning has a cable with micro USB port with dual input connector. Price: $ 49.99 (about 39 €). strikeBASE of 5 w : compatible with the iPhone 5 and iPad mini. Contains a charging cable and a wall Lightning. Price: $ 29.99 (about € 24). strikeBASE pro 5 W + 5 W : compatible with the iPhone 5 and iPad mini. 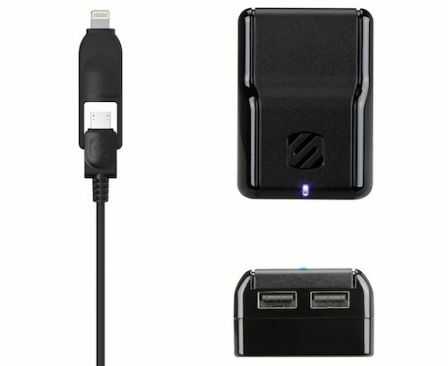 Contains a charging cable and a wall Lightning with dual input USB port on the connector. Price: $ 39.99 (about € 31). strikeBASE 12 w : Compatible with iPad. Contains a charging cable and a wall Lightning. Price: $ 34.99 (about 28 €). strikeBASE pro 12 w + 12 w : compatible with the iPhone 5, the iPad and the iPad mini. Contains a charging cable and a wall Lightning with dual input USB port on the connector. Price: $ 49.99 (about 39 €). strikeLINE pro : compatible with the iPhone 5, the iPad and the iPad mini. Contains extendable input cable and micro USB Lightning. Price: $ 29.99 (about € 24). You can check the following link for more information .